The fifth meeting of Hebei Eleventh People’s Congress kicked off on Jan 6, with more than 7,000 members attending. 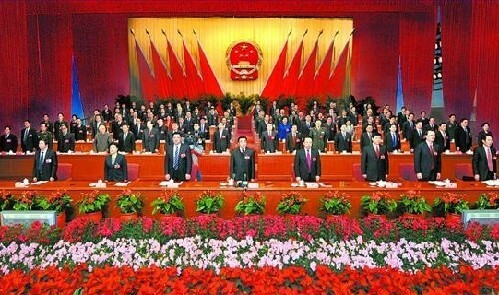 Zhang Qingwei, the acting governor, delivered a government report, summarized the achievements of 2011 and put forward the plan and goals for the 2012. He said the province has achieved a rapid and stable economic transformation through scientific development, and has also completed the goals determined during the fourth session due to rational policies. He noted the government should maintain the achievements and advantages in the economy and society, while making more effort to build a harmonious province. The acting governor also put forward a series of expected figures for economic development in 2012. He said the provincial GDP will increase by 9 percent, the total fiscal revenue will be up 13 percent, the total fixed asset investment will increase 19 percent, and exports will grow by 10 percent. The government should strive to build an effective and incorrupt model with innovation and responsibility as well as enhanced executive power and public credibility, according to Zhang.